I offer a complete professional restoration and repair service of all ceramic items. 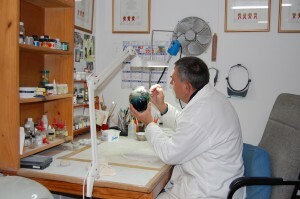 I repair Porcelain, restore China, Marble, Earthenware, Stoneware, Cloisonne, Enamel, Glass and Ivory articles. I run a professional restoration studio, situated in the Southern Suburbs of Cape Town, South Africa. I specialize in the restoration of all ceramic, porcelain and pottery items. However restoration also extends to other materials such as resin, glass, jade, ivory, wood, stone, marble and enamelled articles. My clients include many of the antique and collectable dealers in Cape Town and surrounding areas as well as the three leading auction houses in Cape Town together with many of their customers. I have restored over 1,500 items ranging from a small rim chip to a plate of no value except for its sentimentality to large Oriental vases, Tang Dynasty low fired clay ornaments, a large Lladro figure worth over R25,000 and a hand painted Ferdinand Leger plate with an estimated value of over R300,000. All the restoration processes, from the initial cleaning to the final finishing and polishing, are done by hand, ensuring exquisite attention to detail, and an impressively flawless result. Clarice Cliff book end broken in many pieces and on the right the restored Clarice Cliff book end. I encourage correspondence and queries from restorers and clients alike, and my restoration quotations are issued at no charge and without obligation. Because each job is different I quote individually depending on the requirements. The quotation is worked out according to the size of the article, extent of damage, complexity and time it will take to restore the article. And also the materials and tools that will be used in the restoration process. Restore china tea pots. Repair porcelain cups & saucers. 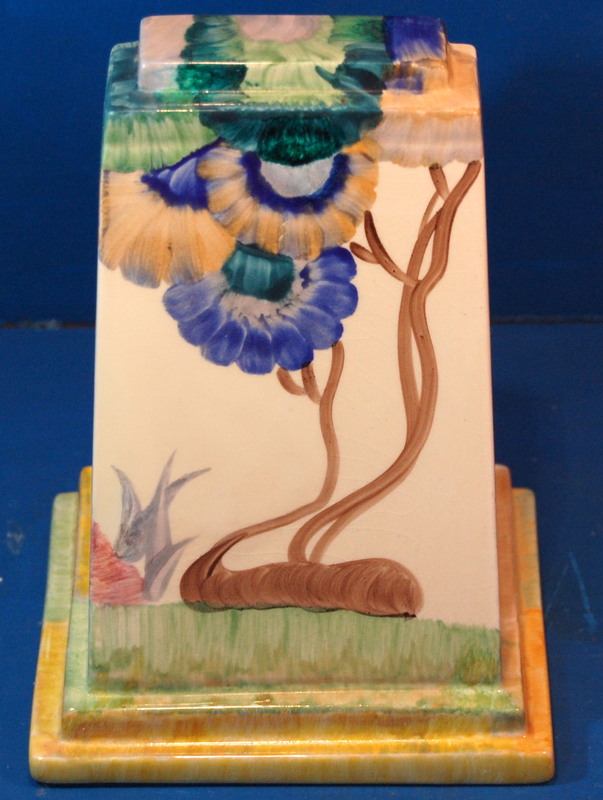 Repair Moorcroft. All China restoration. 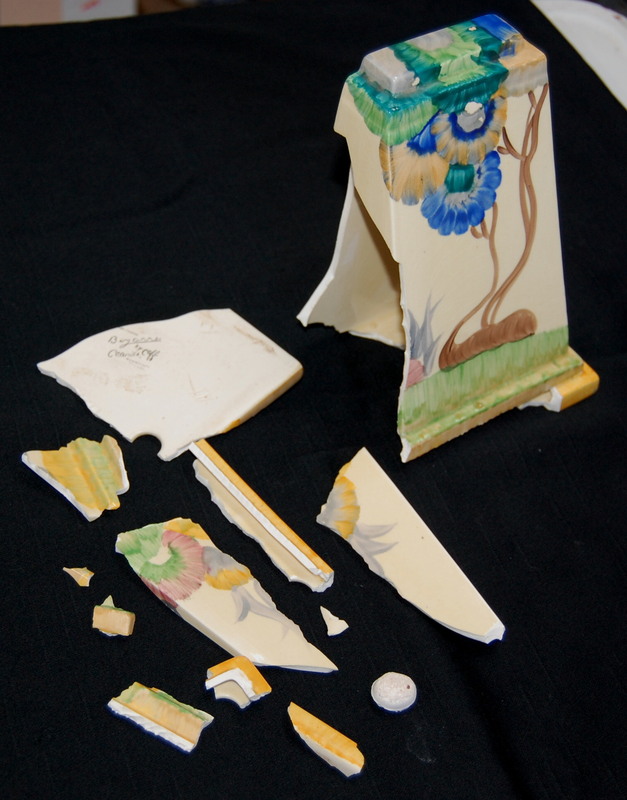 Invisible repairs to: Meissen, Dresden, Imari. Repair Wedgewood plates. Restore Beleek. Repair Goebel & Hummel figures. Restore Satsuma. Repair Oriental plates. Repair China. Repair Capo De Monte. Restore porcelain figurines. Repair pottery vases. Restore Royal Doulton Figurines. Restore Wedgwood teapots. Repair Lladro figures. Porcelain repairs. Repair ceramic dolls. Restore China cups and saucers. Restore Meissen figures. Repair Porcelain tea sets. Restore Porcelain plates. Restore porcelain tea pots. Restore Goebel Figurines. Restore & repair Linnware pottery. Pottery restoration. Free restoration quotations. China restoration at reasonable prices.